Yu-Gi-Oh incorporates psychological warfare with its facedown trap cards, making the decision to attack a whirlwind of bluffs and mind games. Most fans are aware of the destructive potential of entries like Mirror Force or Bottomless Trap Hole, but today we'll highlight a few lesser-known gems. Are these guys always going to be super-competitive in the meta game? Not all the time. But are they still potent and interesting cards that can add value to a deck? Definitely! 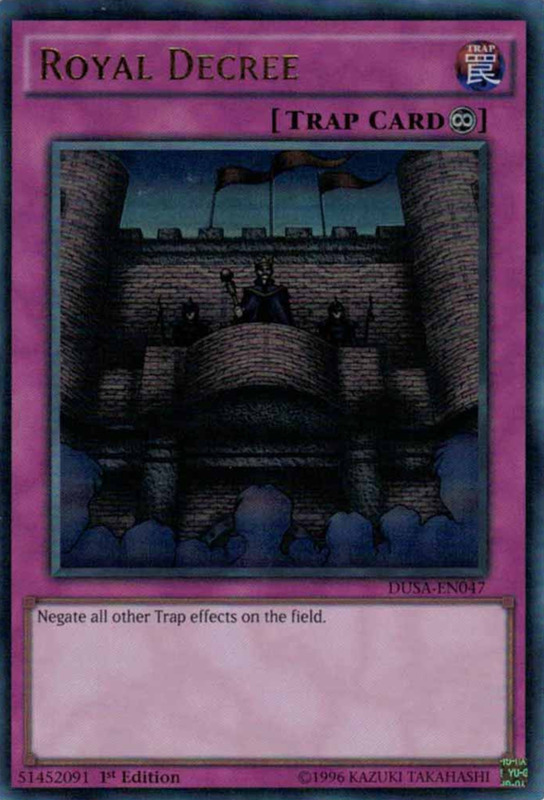 To discover several new ways to catch your opponents off guard, these are ten more (view the original list here) of the most underestimated traps in Yu-Gi-Oh! 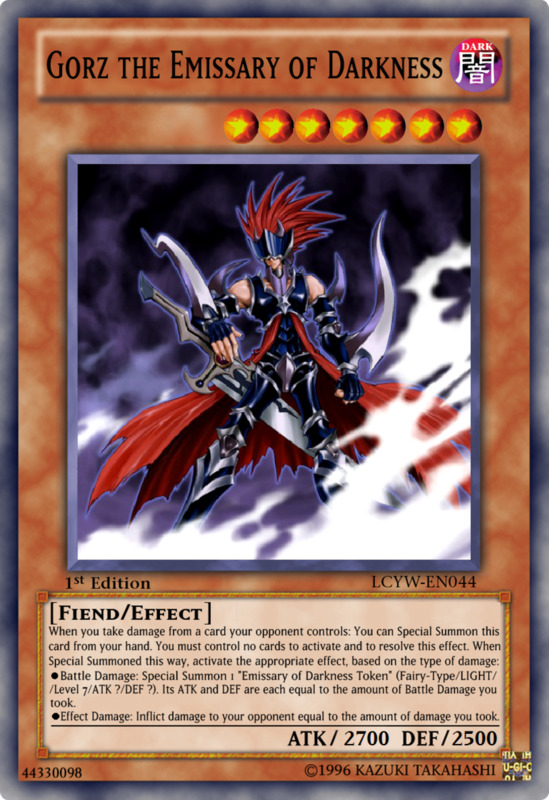 Sure, everyone's familiar with the original day-ruiner Mirror Force and its competitive variant Drowning Mirror Force, but surprisingly few duelists utilize the Blazing alternative. 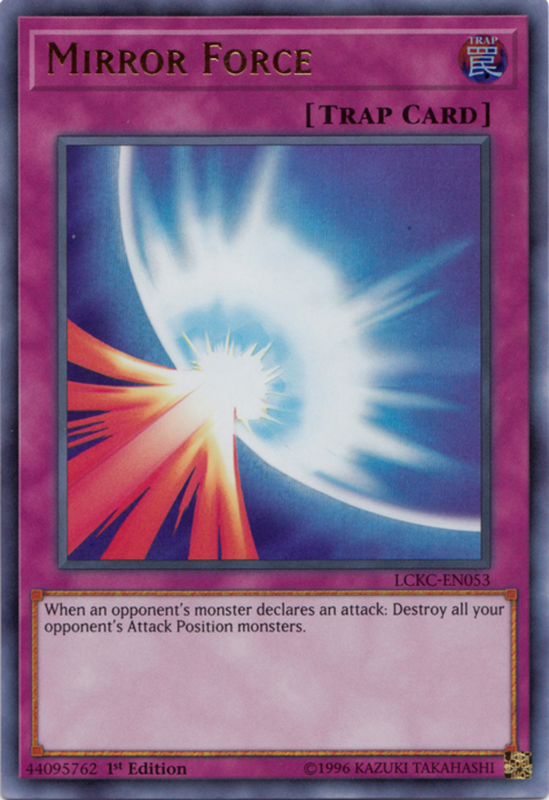 First, Blazing does exactly what its standard form does: destroy all opposing attack position monsters when an opponent's monster declares an attack. After that, it inflicts damage to you equal to half their total ATK, then does the same to your opponent. While you're taking the extra hurt as well as your rival, Blazing works great for adding insult to injury, especially when you're confident you'll have more life points to spare. Like most of the Mirror Force family, it's also aged well because link monsters don't have DEF scores and can't shift to defense position, making them easy prey for these destructive traps. 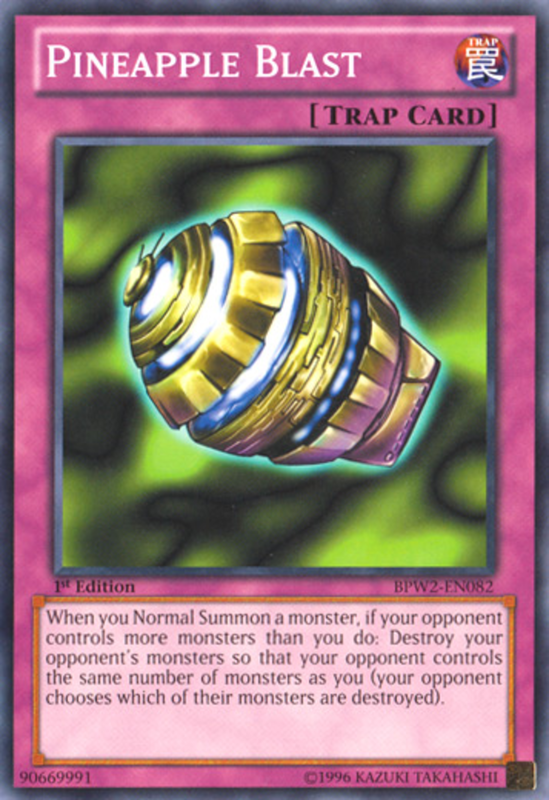 Pineapple Blast offers some unique opposing monster removal that actually occurs on your turn, clearing the field for your attacks (unlike most counter traps which give your opponent a second main phase to recover with). 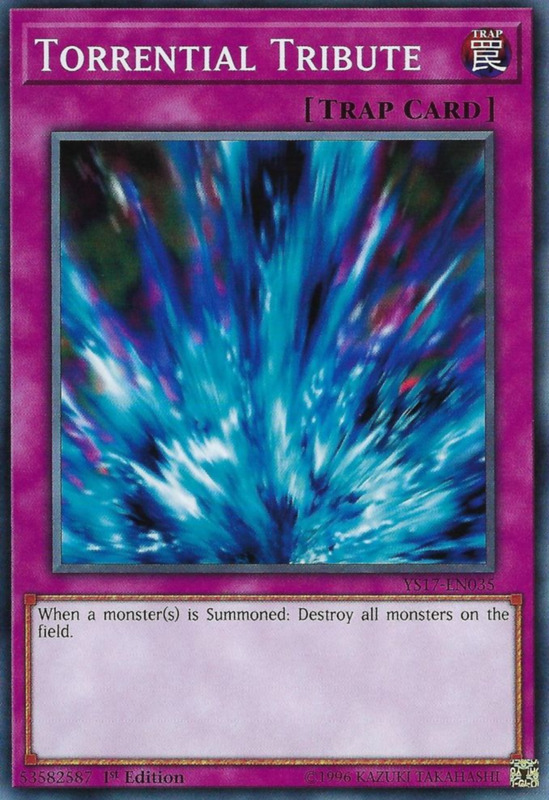 When you normal summon a monster while your opponent controls more monsters than you, they destroy enough of their monsters to equalize each player's total amount. This helps initiate a comeback by slamming an opponent's stocked field with a single easy normal summon. 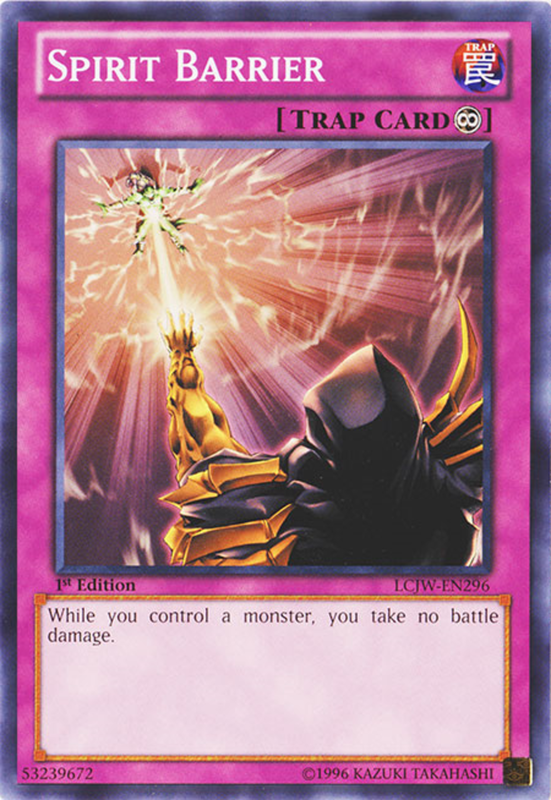 While they sadly get to choose which monsters they lose, the unique timing and non-targeting reliance of this card make it one of the game's most underestimated powers. 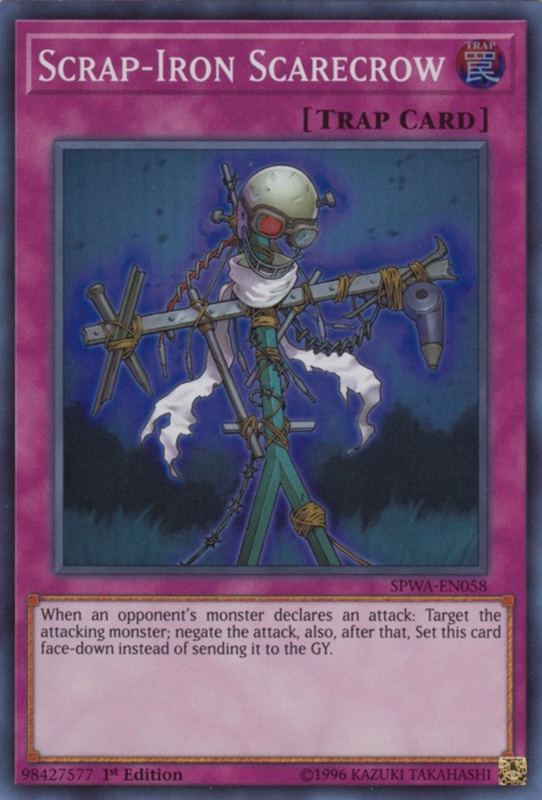 Lower in the list because it's not completely unheard of, Scrap-Iron Scarecrow offers a weaker but rare reusable defensive effect. Like the Mirror Force archetype, Scrap-Iron triggers when your rival's monster attacks, but it simply targets the monster and negates the blow—without destroying or otherwise hindering them. However, rather than heading to the graveyard after use, Scrap-Iron resets itself face-down in your spell/trap zone, ready to be used next turn. This offers a potent blend of defense, especially if you're playing for the long haul rather than a quick win, and with no "once per turn" restriction, you're free to activate multiple copies in the same battle phase. Just remember Scrap-Iron can't block monsters immune to being targeted. Here's another known-of but underutilized card. Macro Cosmos offers two benefits. 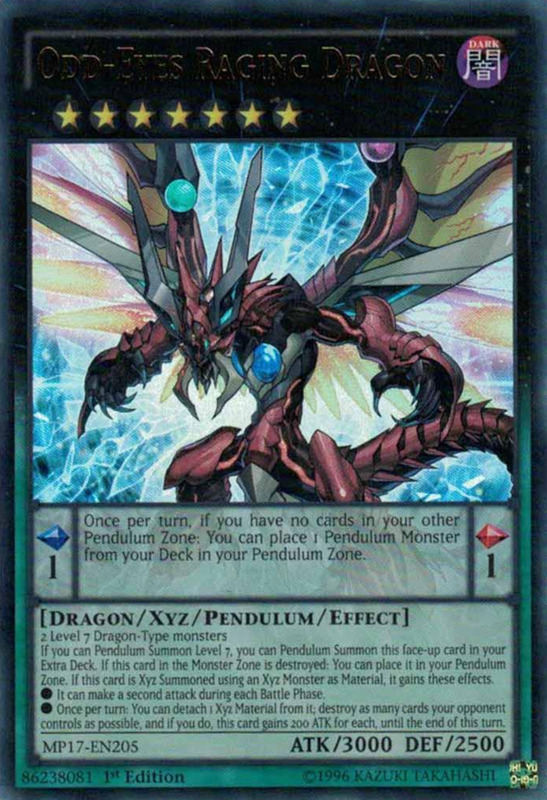 First it summons "Helios - The Primordial Sun" from your hand or deck, already justifying its inclusion with a free monster search and summon. Then, it banishes all cards that would be sent to the graveyard. This affects your own units too, but since you'll have knowledge of the removal prior to the duel, you can build your deck to either not rely on the graveyard or to utilize exiled cards (as many zombie creatures do). Meanwhile, your foe will struggle to recycle their units that would otherwise be activating graveyard effects. 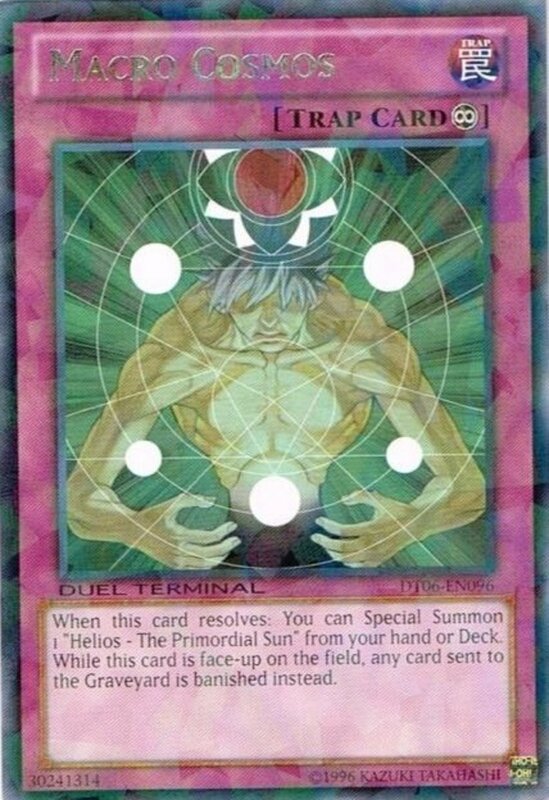 And remember, since Helios's ATK and DEF increase for each banished card, the more units Cosmos removes from the game, the stronger your monster will become. 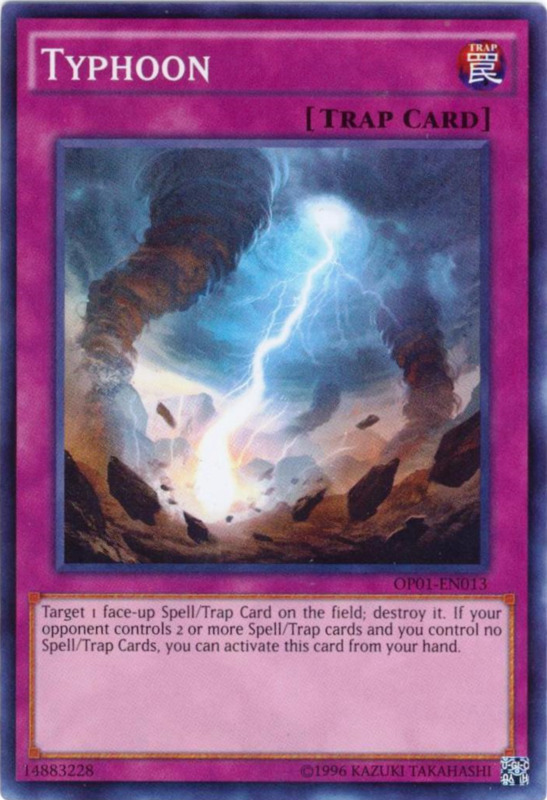 Occasionally I'll find a player (often pendulum advocates) who don't include any traps in their deck. When I encounter such a duelist, I often point them towards Treacherous Trap Hole, a trap ironically perfect for low-trap builds. 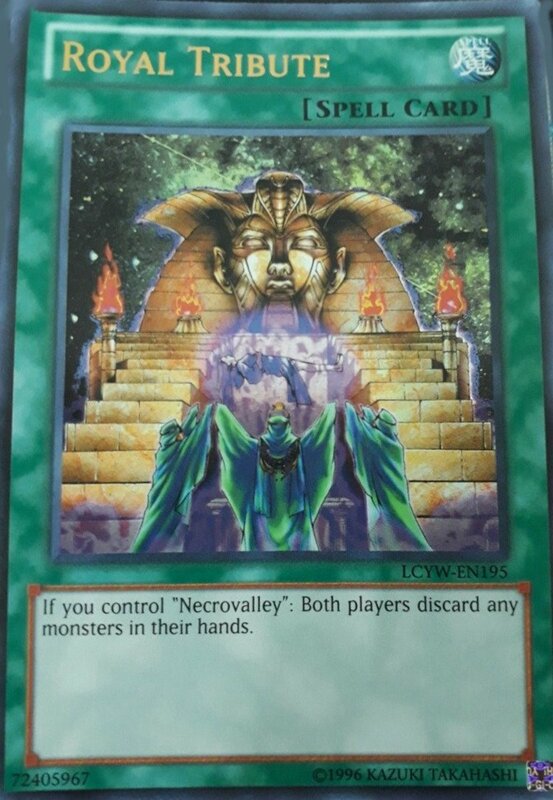 You can only activate it if you have no traps in your graveyard, but when you do, you get to target and destroy two monsters on the field. The beauty here is Treacherous's ability to activate on any phase. Other destructive traps often only work when a monster is summoned (Bottomless Trap Hole) or attacks (Mirror Force). Treacherous removes these requiremenst, letting you play it even if you miss a monster's initial summoning or attack. 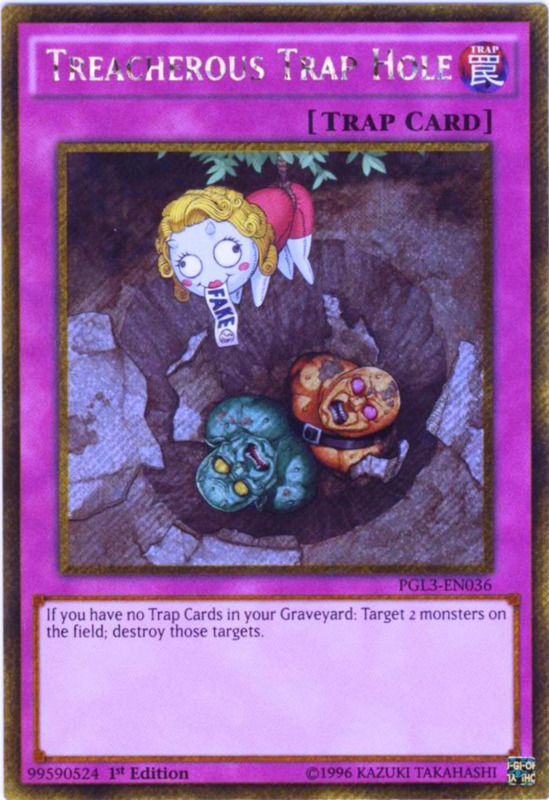 Plus, as part of the Trap Hole series, it enjoys access to some nice support cards, especially from the Traptrix archetype. Here's a unique continuous trap to catch foes off-guard. 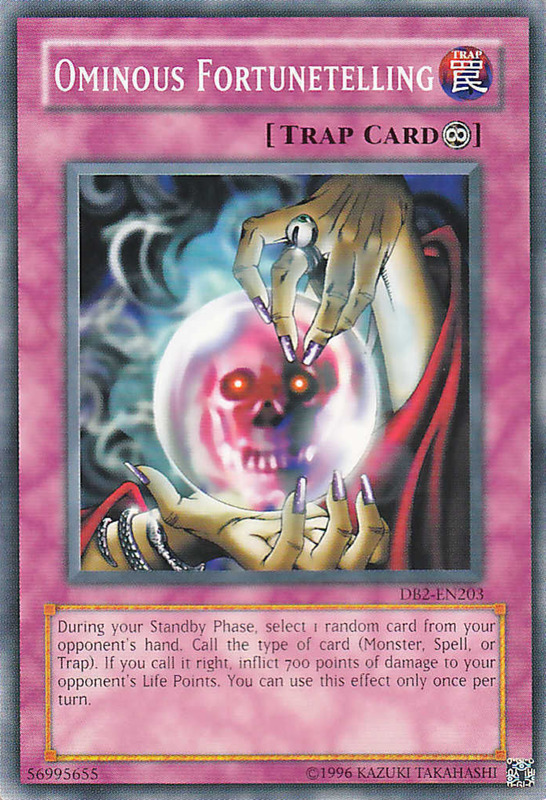 Once activated, during each of your opponent's standby phases, you select a random card from your opponent's hand and guess whether it's a monster, spell, or trap. If you choose correctly, you deal 700 damage to your opponent. 700 damage is a healthy chunk of life to seize, especially since you can potentially land it multiple times as long Fortunetelling remains out. Additionally, even if you guess wrong, you're still gaining an advantage by learning what surprised lie within your opponent's hand, letting you act with additional information in tow. The only real defense your opponent has is to empty their hand, but doing that leaves them no cards to play. Either way, you win. Finally, note that Ominous is one of the best traps to employ multiple copies of—even if you guess wrong your first, you'll know a card in your opponent's, making it easy to correctly land the damage with your duplicate. Crush Card Virus requires you to tribute a dark monster with 1000 or less ATK; luckily, these low-level minions are pretty easy to summon. You can also wait until one of yours would die anyway (like when your opponent activates Raigeki) to avoid "wasting" their demise. Once you've paid its demand, Crush Card checks both your opponent's field and hand and destroys any monsters with 1500 or more ATK. The vast majority of creatures will meet this requirement, and you'll be wiping out the strongest units in both your foe's field and hand! As a bonus, this even includes face-down monsters, letting you peek at them whether or not they end up destroyed by the activation. 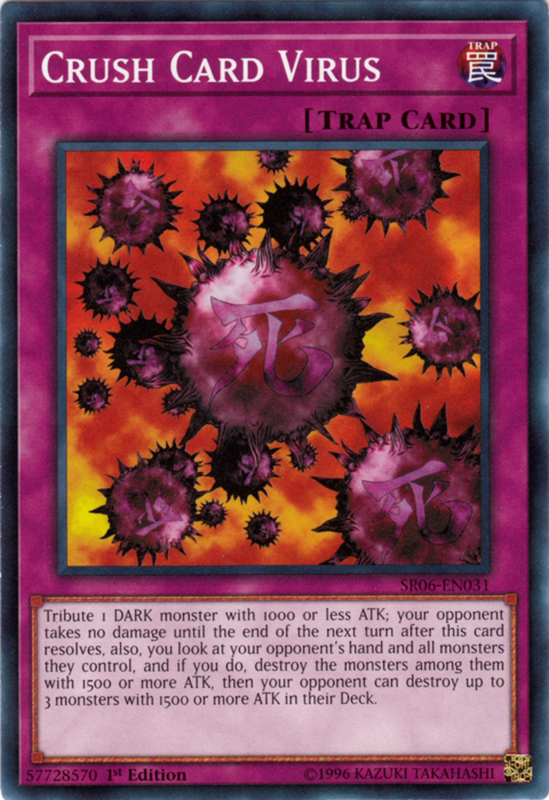 A great effect, but remember that (besides the initial tribute), using this card prevents your opponent from taking damage until the end of the next turn,and they can destroy up to three monsters with 1500 or more ATK from their deck if they wish. 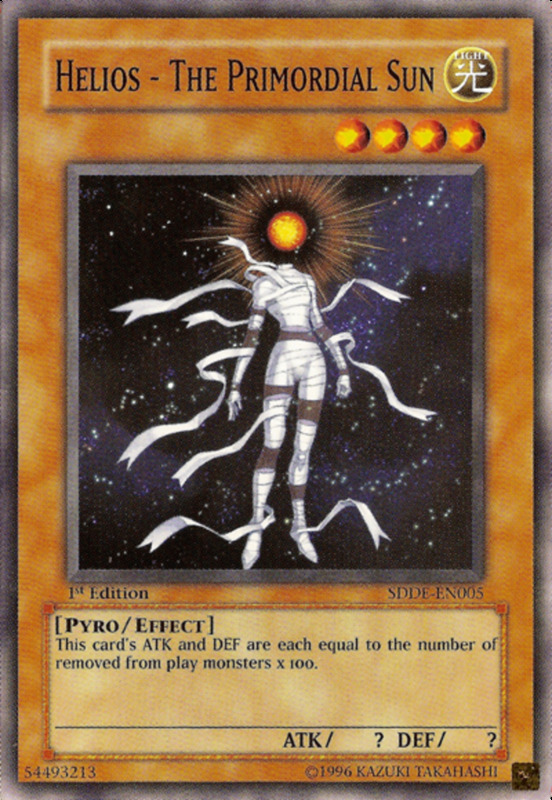 Yu-Gi-Oh sure loves its Egyptian-themed cards. Judgment of Anubis can activate when your opponent activates a spell that would destroy one or more spells/traps you control, but you have to discard a card in the process. 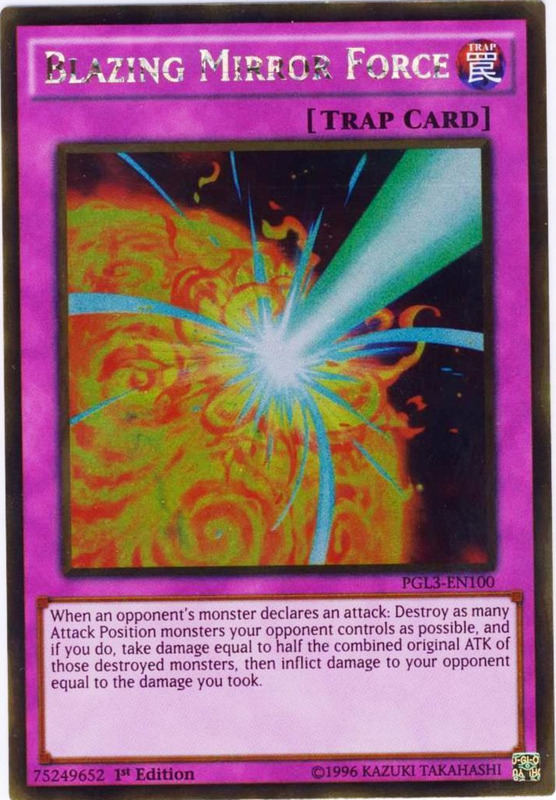 However, not only do you negate and destroy the activated magic, you can also destroy an opposing monster and inflict damage to your opponent equal to its ATK! 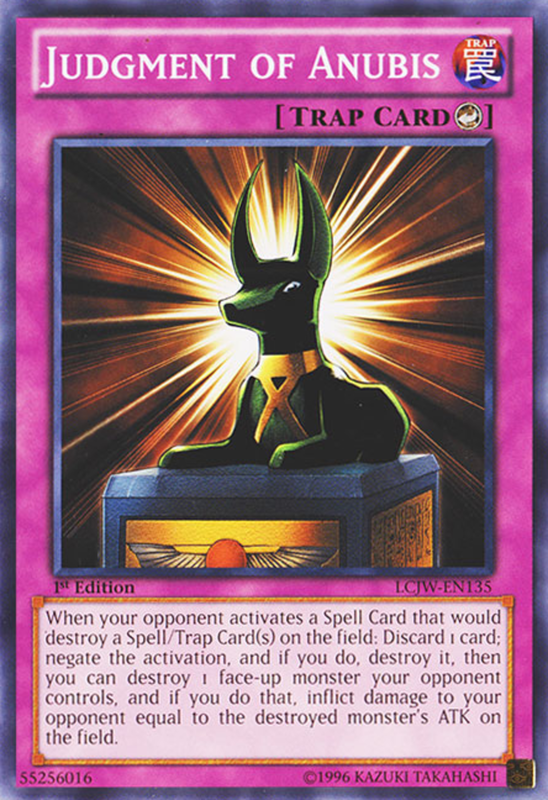 While it's unfortunate that Anubis can't counteract traps, most of the best spell/trap destroyers are magic cards anyway. Negation, monster removal, and direct damage all packed into one potent package. As an final bonus, note that the annihilated monster doesn't need to be targeted, letting Anubis conquer even shrouded foes. One of the simplest but most uderutilized defenses in the game, Spirit Barrier simply prevents you from taking battle damage as long as you control a monster. This blocks out the obvious attack position battle damage you normally receive when an opponent's strongest beast strikes yours, but it also helpfully barricades against pierce damage dealt to your defense position creatures. The shield even blocks monsters like Spell Striker whose effects let them attack directly. Useful on its own, combine Spirit Barrier with monsters who can't be attacked (like The Legendary Fisherman or the Ghostrick archetype) to form a rarely-seen complete immunity to battle damage. Not to be confused with the famous Torrential Tribute, Torrential Reborn simply offers one of the best revivals in the game—for water-attributed builds. 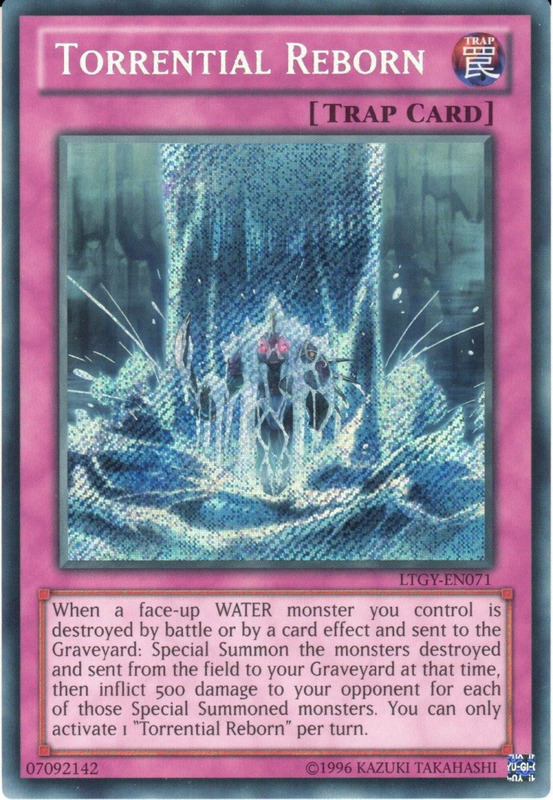 When at least one water monster you control is destroyed, whether through battle or effect, you revive the monster(s) from the graveyard and inflict 500 damage to your opponent for each rejuvenated creature. 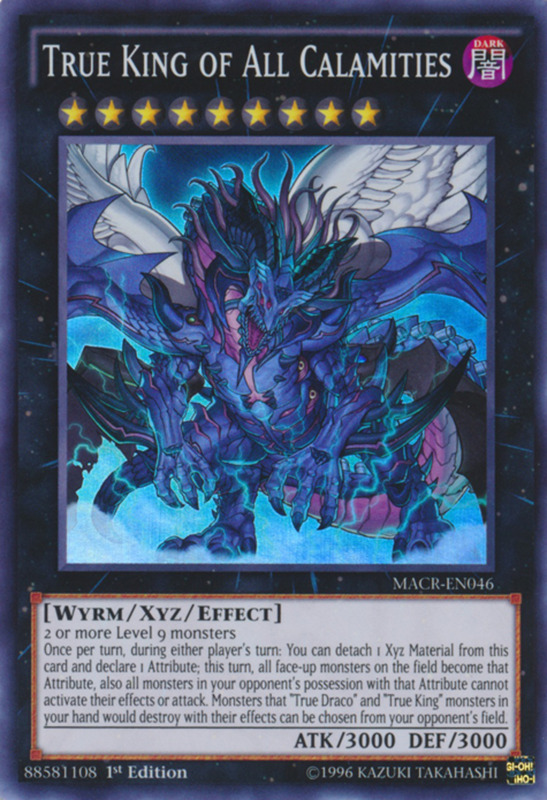 This not only recalls your monster(s) but punishes your foe for destroying them, and since it actually works better when multiple cards are obliterated, it's particularly deadly against field-wide wipes like Raigeki or Mirror Force. As icing on this very tempting cake, you can even activate it if it was your own card's effect that destroyed your monster (letting it form a potent duo with Torrential Tribute). While Magic: The Gathering employs a sparse number of face-down morph cards, traps, which are always set face-down helped differentiate Konami's trading card game from its competition. With a single face-down card ahead of you, you never quite know whether your opponent is desperately bluffing or ready to turn the tide of the entire duel. 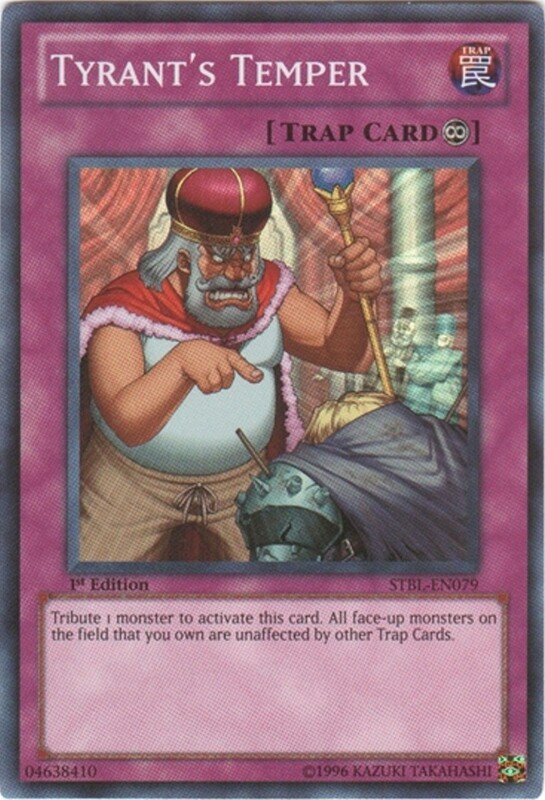 As popular and feared as ever, trap cards remain a Yu-Gi-Oh staple that I'm sure will last as long as the game itself, and I'm excited to explore more underrated units in the future. But for now, as we eagerly await more trap-supporting expansion sets, vote for your favorite card and I'll see you at our next Yu-Gi-Oh countdown! Many of these traps are awesome. i don't even know why they are underestimated. Cards like Blazing Mirror Force Scrap-Iron Scarecrow Torrential Reborn and Spirit Barrier are really good.Good job as always.